Use a Induction Sealing System when applying these caps. FS3-25 heat induction liner. 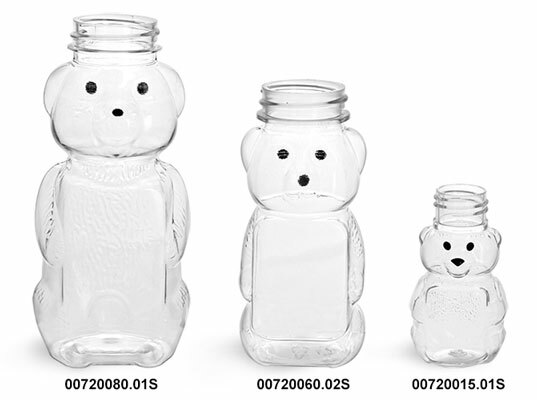 Cap orifice length = .815"
These PET honey bears are durable yet easily squeezable, making them suitable for honey, syrup, or similar products. 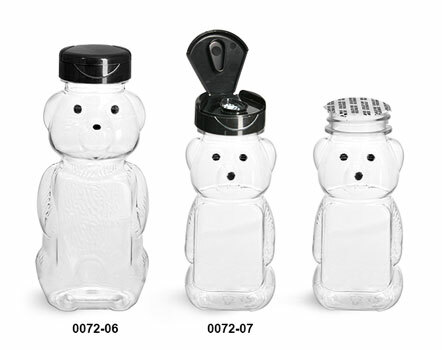 The wide neck on these plastic bottles allows for easy filling, and they come with a snap top dispensing cap featuring a wide orifice for easy dispensing. These drip resistant caps are paired with FS3-25 heat induction liners that are applied with an Induction Sealing System to create a hermetic and tamper evident seal.